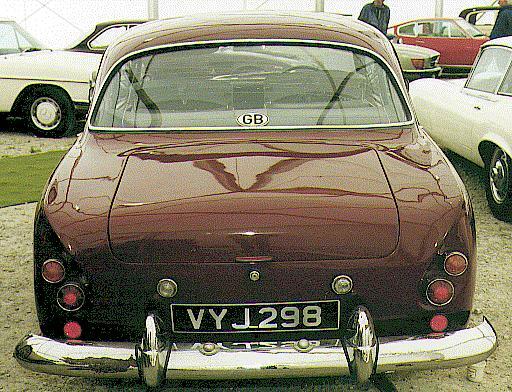 Introduced in 1961, this was the first production Bristol with a Chrysler V8 engine. Production ceased in 1963. 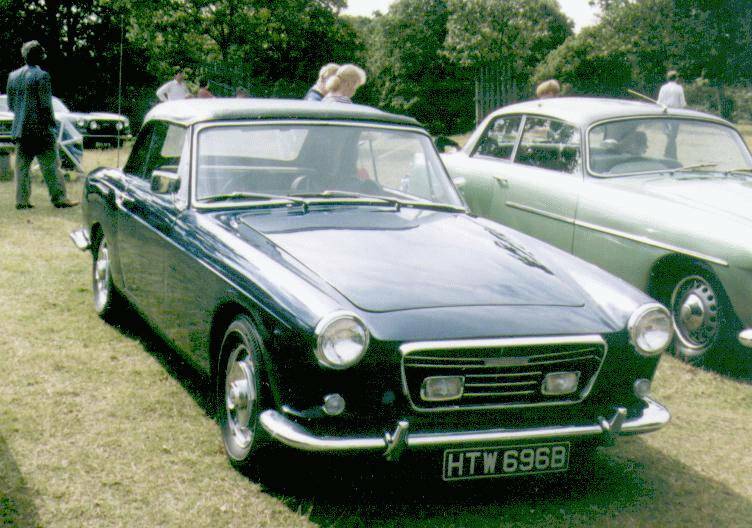 The Type 407 was very similar in appearance to the 406, the absence of roof-mounted flasher repeater lights and twin exhausts being the most obvious visual changes, as is the larger front grille. The radio aerial is located on the rear of the offside front wing. As can be seen, there is little difference to the untrained eye between the 406 and the 407, and it is not a matter of the difference of the push button controls for the new Torqueflite automatic gearbox. In fact almost all panels are resized, but in such a subtle manner that the car looks unchanged. Look carefully, however, at the larger grille: it has a different cast badge and a horizontal trim, and behind that you might just see the twin electric fans installed to assist cooling of the new 5.2 litre Chrysler V8 engine. From the rear of the car, the two exhaust pipes betray the fact that under the bonnet lurks not the 2.2 litre straight 6 cylinder engine, but a 5.2 litre Canadian Chrysler V8. Overall the car is fractionally larger, but the lines, so similar to those of the type 406, cleverly disguise the fact. The number plate is flush fitting, not recessed into the back panel as on the 406. 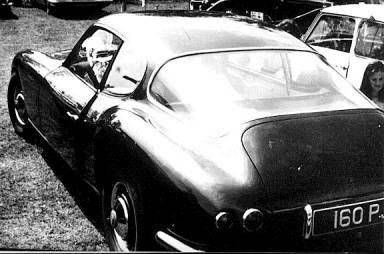 The Viotti was a one-off design exercise completed on a Type 407 driven chassis. The Italian designer placed it in the Turin Coachbuilders' trade exhibition ca 1960. 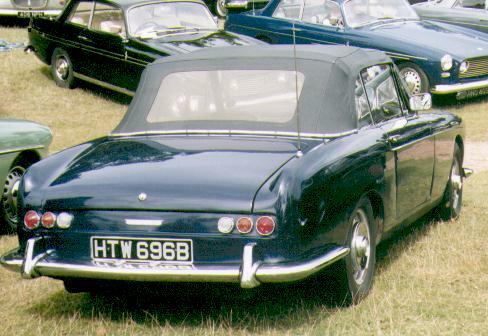 Then it sported silver coachwork with black leather trim and black manual folding hood. 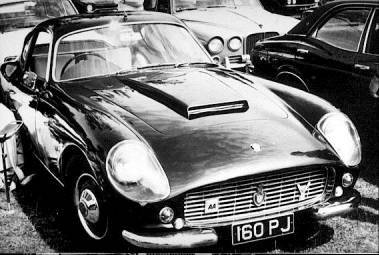 It was subsequently transported to the UK where it was again displayed, this time on the Bristol stand at the Earls Court Motor Show ca 1961. Peter Sellers, the renowned comedian and actor, then purchased the car and used it for a short while before selling it back again — as was his habit. Coincidentally, Britt Eklund, one of his future wives, was pictured posing with the car at the show. Peter had however returned it before they were associated. The car was retained by the Company for some time. During this period it was progressively upgraded from Type 407 mechanical specification to that of the Type 410, with newer suspension, brakes, and power plant and automatic transmission to suit. Eventually it was sold and is now in private hands. It is unusual, not just on account of its unique design and the many modifications it was subject to, nor even the celebrity of its owner and its own career in the spotlight at two motor shows: unlike every Bristol since the 400, the body was made in steel. Its clean and uncluttered style may well have had an influence on the development of the future Bristol body shapes. 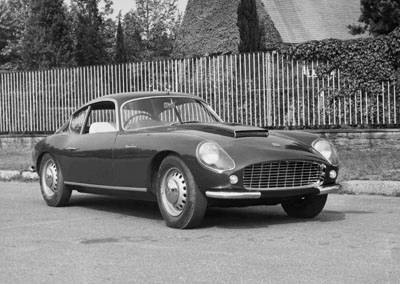 At the same time as Viotti was executing his design ideas, a second Type 407 driven chassis had been dispatched to Zagato. Their interpretation was more flowing and very similar to the Aston Martin body shape, with fared-in headlamps and a rounded tail treatment. Perhaps because of this very similarity the design was not adopted by the Company. 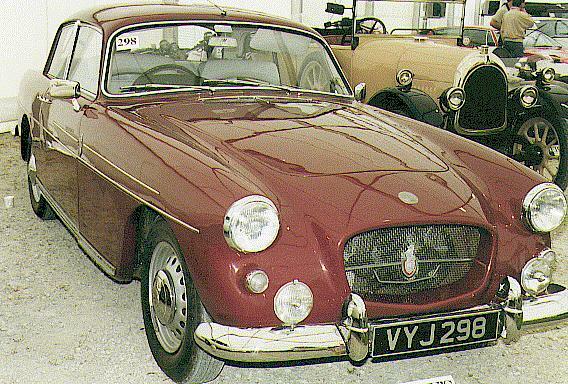 It was first displayed on the Company Stand at the 1961 Earl's Court Motor Show. It is now in private ownership in the USA.